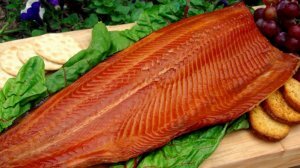 Smoked Foods: Smoked Seafood, Smoked Chicken, Smoked Pork, Smoked Ribs & Smoked Food - Sugartown Smoked Specialties, Inc. Welcome to Sugartown Smoked Specialties, Inc. Thank you for visiting the Sugartown Smoked Specialties Web site. The smokehouse staff at Sugartown is proud to provide you with the finest artisinal hot and cold smoked, fish, fowl and game available. Located in Historic Chester County Pennsylvania, Sugartown Smoked Specialties, Inc. began providing local restaurants, clubs and specialty stores with exceptional smoked foods in 1992. Our gourmet line of succulent artisanal products is processed under strict quality control guidelines, using recipes developed by our own smokehouse staff. Small production lots, and meticulous attention to quality and detail have brought Sugartown Smoked Specialties to the forefront of the smoked foods industry. We hope you enjoy your stay at Sugartown Smoked Specialties. 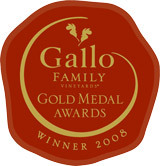 Gallo Family Vineyards Gold Metal Awards, Grand Prize Winner - 2008 !!! 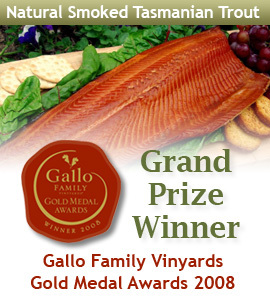 Sugartown Smoked Specialties' Natural Smoked Tasmanian Trout was awarded outstanding seafood product in the Gallo Family Vineyards 2008 Gold Metal Awards for artisan food producers. If you have been searching for the ultimate smoked trout, your search is over. Sugartown's hot smoked, Sea-Run Rainbow Trout from the pristine waters of Tasmania are moist and flaky with exceptional flavor. 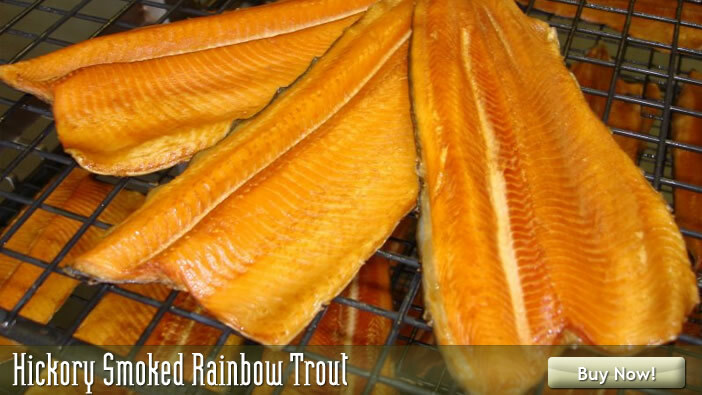 These smoked trout fillets will be without a doubt the finest smoked trout you and your guests have ever tasted. Available in your choice of (4) - 4 ounce packages (perfect for gifting), 8 ounce and whole fillets. Fillets average a massive 1.75 pounds!